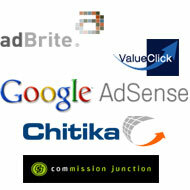 Recently I began to use some top advertising networks to monetize my blog. I have found many good and reliable advertising networks which helps to make simple easy money. Really, it was bit difficult to choose best one. I wasted half of my blogging time by searching best advertising networks. We know Google Adsense is best one. But what if in case you get banded from their network? Definitely, you feel sad. So, you must have some Google Adsense alternatives and you can easily replace adsense with other advertising network in case they ban you. CPA stands for Cost Per Acquisition, CPC stands for Cost Per Click and CPM stands for Cost Per thousand Impression, In Latin Mille known as Thousand. Definitely, all of these networks are alive right now. I hope this huge list helps you to monetize your blog. Let us know if there is any missing Advertising Network.